The European Union Strategy for the Baltic Sea Region (EUSBSR) aims to address a selected range of challenges faced by the region, among them considerable disparities in health conditions, escalating environmental threats, gaps in economic development and lack of properly connected transportation links. These challenges are obstacles that prevent development in the region. Read "Baltic Sea Region Strategy for Beginners" and learn more interesting and inspiring facts and figures about the European Union Strategy for the Baltic Sea Region. To aid the implementation of the EUSBSR’s objectives, the Task Force Communication has developed a communication strategy. It describes communication objectives, indicators, target audiences, key messages as well as tools and methods. The Policy Area “Health” focuses on improving and promoting the health of people in the Baltic Sea region, including social aspects of health, as an important precondition for ensuring sustainable and healthy societies enjoying economic growth, and for containing future health and social care-related costs. The NDPHS is the Policy Area Coordinator for “Health” in the EUSBSR. Strengthen occupational safety and health and well-being at work. The Strategy: (i) does not imply any additional funding; (ii) relies on a coordinating and synergy of a large number of people and organisations, and (iii) strives for a more effective use of the already existing EU instruments and funds, as well as other existing resources and financial instruments, and EU policies and programmes. Geographically, the EUSBSR covers eight EU Member States bordering the Baltic Sea. However, in order to jointly tackle many of the regional challenges, close cooperation with external partners – among them Norway and Russia - is particularly important. The roles and responsibilities of the implementing stakeholders of the Strategy are described in the EUSBSR Action Plan. The success of the Strategy depends on the involvement of all relevant stakeholders, therefore it is important that stakeholders on the local and regional level are involved, when relevant (read more here about how you become involved). To translate the agreed EUSBSR objectives into results, there are detailed actions and flagship projects. Actions represent the main steps that are needed to achieve the agreed indicators and targets for a given area, while flagship projects detail how to achieve (part of) the desired outcome. 10% reduction in the difference between the lowest (best) and highest (worst) PYLL rates for women and men among the Baltic Sea Region/Northern Dimension Area. 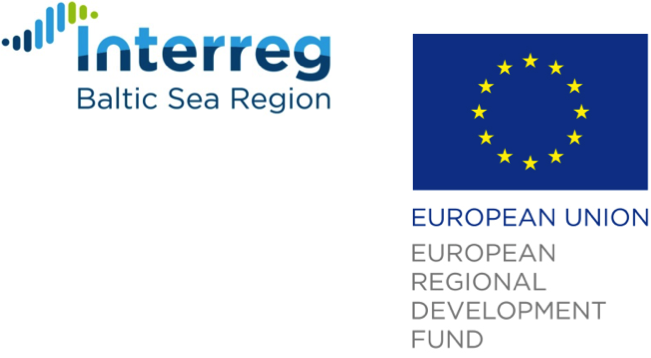 As a Policy Area Coordinator the NDPHS has received a technical assistance grant financed by the European Union through the Interreg Baltic Sea Region Programme 2014-2020. The grant aims to support the NDPHS work in coordination and implementation of activities within the Health Policy Area of the EUSBSR Action Plan, not least those listed above. The funding is provided through a two-year “PA Health support 2” project which will continue until 31 July 2018. Stakeholders interested in receiving the above or another type of support within the EUSBSR context are invited to contact the NDPHS Secretariat.